Love the tassels on the jacket and the simple but bold shirt! 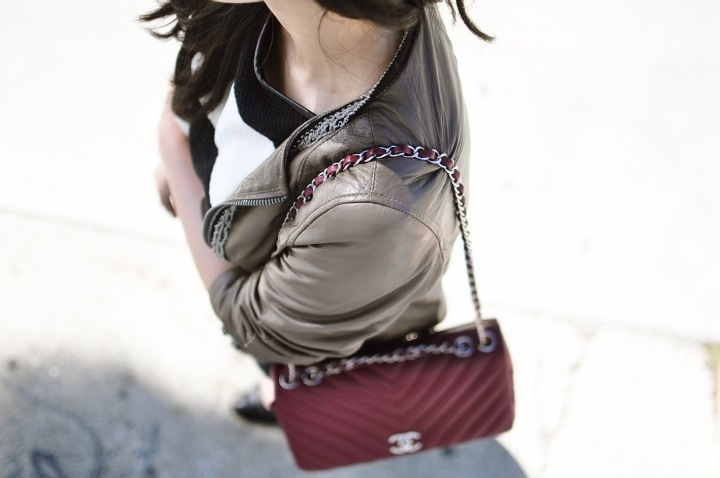 Love the chain details on your jacket. So unique! Lovely outfit girl!! I love your blog!! What camera do you use for your photos? 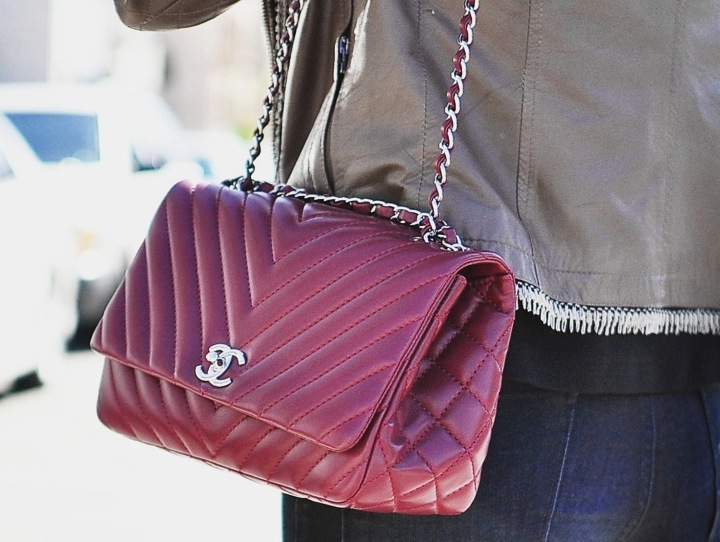 I love the pop of color from your chanel bag! And the detail on your jacket! I'm in love with your blog and fashion sense!